When we were young we were often told by our elders to not spend all of our money, but rather to save it for a rainy day. What our older (and wiser) overseers were trying to teach us is that we need money for when life happens — when things go wrong, when something unexpected occurs, when you’re hit with one thing after another and your regular monthly budget just can’t handle it — having emergency savings to fall back on can help you stay on the path to financial success no matter what. We talk a lot about the importance of investing, saving to start a family, saving for retirement, or using your money to help you protect yourself, your family, and your “stuff” via things like the right insurance policies. And then there’s the need to pay down debts such as credit card bills or medical bills in order to get rid of financial liabilities that can limit your available cash flow. Multiple big bills that happen all at once. Unexpected and urgent repairs for your house or car. Job loss or a gap in your ability to earn an income. With a cash reserve, you can address these issues as they come up — without having to dip into long-term savings, like money set aside for retirement, or getting yourself into debt by putting charges you can’t afford onto your credit card. Emergency savings can help you handle unexpected expenses and bills without worrying about how you’ll pay for them. But you can also use cash reserves to give you and your family more flexibility with major life decisions. Leaving a toxic workplace to actively look for a new job. Taking a leave of absence to care for a family member. Taking a year off to travel with your family. Making a big cross-country move. These choices might be hard to make if you don’t have much cash in the bank. With cash savings, you reduce some of the risk inherent in making big life changes. You get it: you need to have enough set aside to handle emergencies, and you might also want to keep cash savings to take advantage of opportunities that come your way. But how do you actually create and manage these cash reserves? First, know how much you want to save in your account. A good rule of thumb is to set aside three to six months’ worth of income for emergencies. The more financial responsibilities you have, the more you’ll want to keep in reserve. If you’re single and can live comfortably on minimal expenses, you might feel very comfortable with the minimum amount in your emergency fund. But if you have a family with multiple children and lots of expenses to juggle, set your goal higher. You’ll likely want at least six months’ worth of income in your emergency fund — if not more. Of course, whether you want to save three or six months’ worth of income (or more), that’s a big chunk of change. 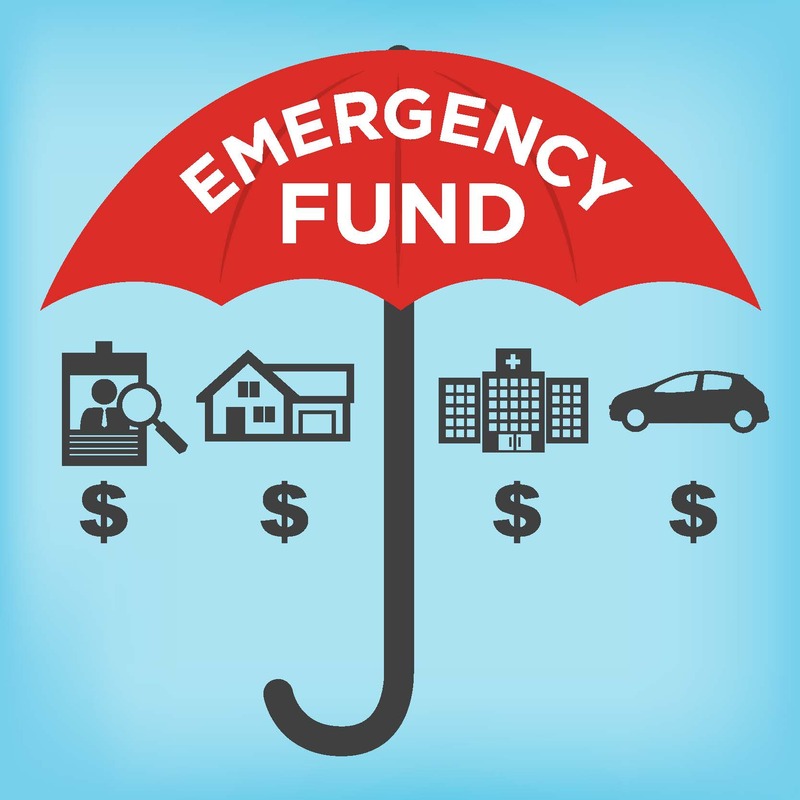 Remember, you don’t have to build your emergency savings fund overnight. Commit to saving a set amount of money into your cash reserves each month. You could start with $50 per month and bump it up from there. Or you could commit to saving a few hundred dollars every pay period. Whatever you choose, automate that transfer from checking to savings so you know you’re consistently funding your account. As far as where to start building your fund, most families should keep emergency savings in a liquid, easy-to-access account, such as a savings account. Avoid putting this money into an investment account. That exposes your cash to risk and you may be forced to sell a stock at a less than optimum price due to the fact that you need to get out in a hurry. Additionally, while it can be tempting to save in something like a CD so you can earn a little interest on that money, doing so puts your cash out of reach. So, you may think to yourself that your sock drawer may be the best place to keep your stash of cash. True, it would always be on hand if you need it, but what about a home robbery or house fire? If you keep your money in a good savings account, your money will be insured up to $250,000 by the FDIC against bank failure. The whole point is to use this fund for emergencies, which means you need to be able to get to this cash extremely quickly if you need it. It’s not an easy task to put aside money for emergencies given the high cost of living these days. We have life to pay for, don’t we? But it’s important to do what we can to budget in order to create an emergency fund to be prepared for what life has in store for us. The truth about life is that we never really know what is coming around the corner, but the good news is we can be ready for it. For more information on budgeting and getting the most from your savings, call FamilyVest today!